. إن Docklands Private Collection – Digital Harbour حريص على توفير الراحة للنزلاء، فلا يوفر الموظفون جهداً في تقديم أفضل الخدمات وضمان حسن الاستقبال. إن مرافق مخصصة لذوي الاحتياجات الخاصة, تسجيل وصول/خروج سريع, تخزين الأمتعة, صف السيارات, التوصيل من وإلى المطار هي جزء فقط من الخدمات التي تميز Docklands Private Collection – Digital Harbour عن باقي الفنادق في المدينة. بالإضافة لهذا، تتضمن كل غرف الضيوف مجموعة واسعة من وسائل الراحة . بعض الغرف توفر حتى تلفزيون بشاشة مسطحة, سجاد, بياضات, مرآة, مناشف لإرضاء أكثر الضيوف تطلبًا. كما أن مجموعة الخدمات الواسعة الموجودة في الفندق لضمان راحتك تترك لك الكثير من الخيارات لقضاء وقتك أثناء فترة إقامتك. مهما كانت أسبابك لزيارة المدينة، فإن Docklands Private Collection – Digital Harbour هو الخيار الأفضل لإقامة مثيرة وممتعة. This apartment was well appointed and suited my needs very well. It’s situated very close to the CBD but feels nicely outside of it. For those traveling to sporting events at Docklands Stadium, you could scarcely find anything more convenient. Southern Cross station is similarly handy. Tram lines run right outside. Staff were very accommodating & friendly with lots of local knowledge. 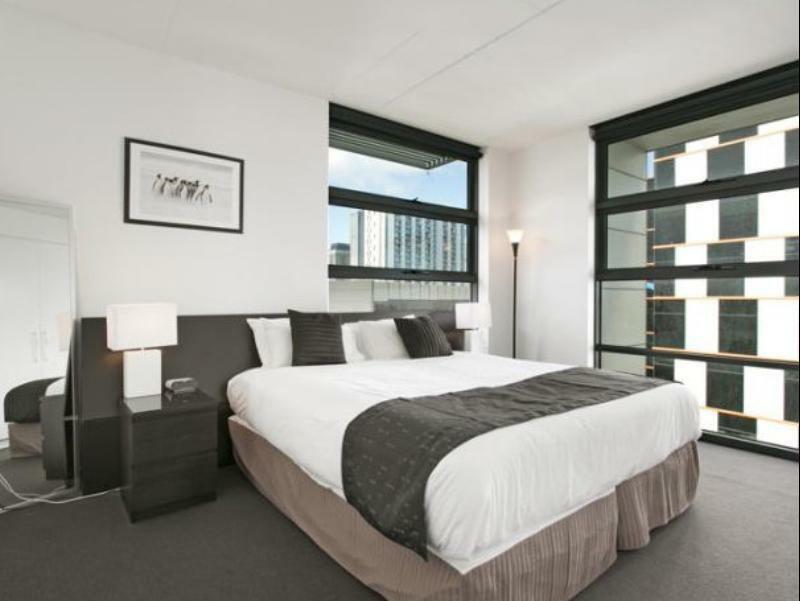 Apartment was clean with a fabulous view of the Docklands. Great coffee shops right underneath the building & free tram to city right outside. Lovely quiet apartment in great location, tram stops directly outside,, very clean, comfortable and modern, self-contained but had a few minor issues: on arrival only enough hot water for 1 five min shower (although fine next morn) tv volume cannot be changed and is very hard to hear over heat pump. Fridge had no inside light and unable to go out onto balcony as the door would not open. Large step down out of bathroom isnt highlighted and could be a safety issue. Staff very friendly and helpful and will store luggage after checkout. not many pot to cook but other things were very OK. Staff nice, view OK , location perfect. good location, bus stop is just in front, and still in CBD area. Pros: Location is great, able to run around every day for 30 mins to one hour. Very helpful staff, detailed description of everything, good advice. Good value of money. Cons: No window in bedroom. Would recommend to stay here if travel with a budget!! Awesome for those requiring a home feel while travelling. 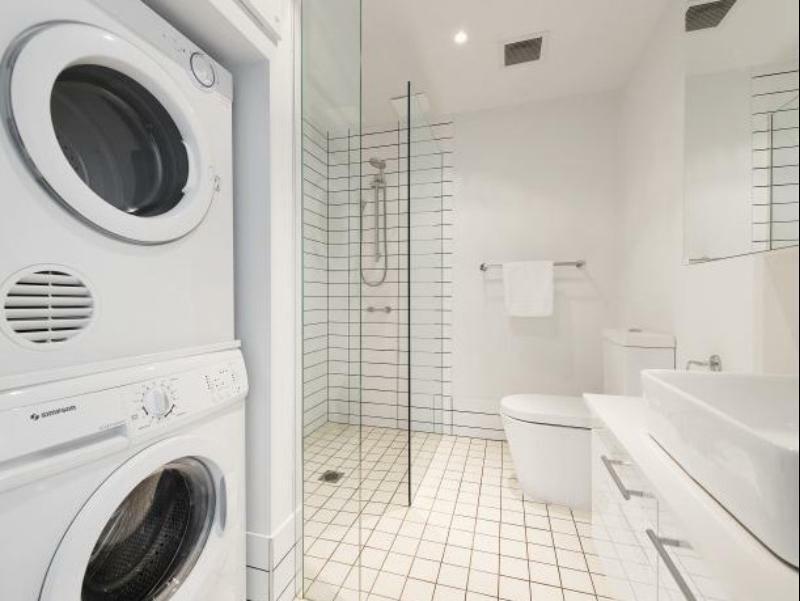 Very clean apartment that comes with a fully equipped kitchen and laundry functions in the room! 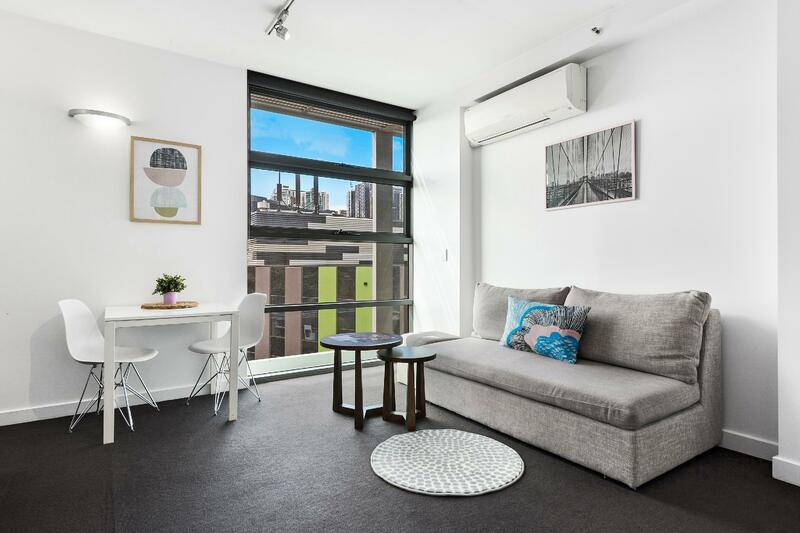 The tram stop is right in front of the apartment with easy access to the city. It is just a very short walk away from grocery stores (including asian grocery store) and some restaurants. Located right at central pier with a beautiful city and sunset views. Will definitely stay here again if I go Melbourne again. Its a great apartment with all the amenities! I prefer staying here as when I travel for work they are adjustable... Only problem is they have an office from 8am to 7pm only... If you need to check in other then those hours its terrible. It was a small facilited apartm. However, they only provide cleaning service if u stay 7days or more. While we ONLy stayed for 4 nights, so we have to clean the apartm by ourself everyday, included throwing rubish. Other apartm usually provide at least limited service to take care waste and towel, but not here. They take $100 for deposit, and will charge if I leave the apartm not in cleanliness condition. So, I wouldn't recommend it for those who busy and want to really enjoy their staying. Pros: Two bedroom units are perfect and have spacious rooms, one bedroom apartments are compact but nice. 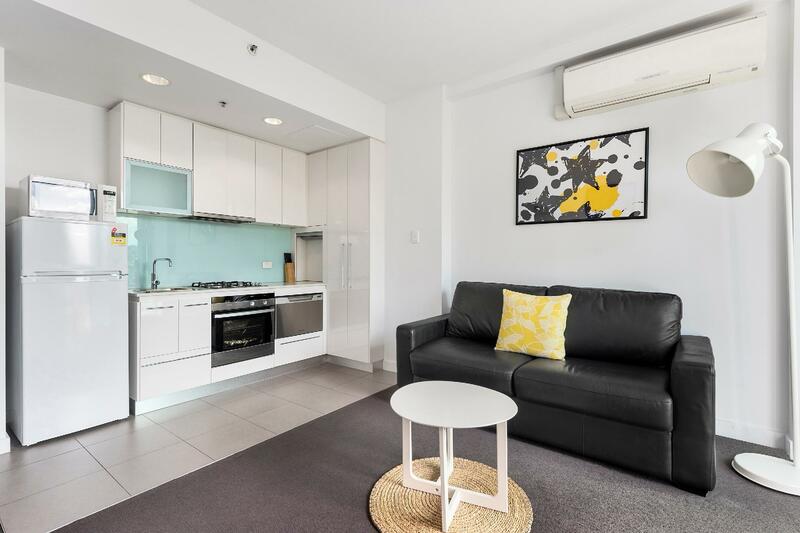 There are trams 100m away, good kitchen facilities (full size kitchen in two-bedroom, kitchenette in one-bedroom apartments), plenty of linen etc, comfy mattresses, great views of the harbour, easy check in. The apartments are across five different waterfront buildings within easy walking distance from the office (for check in etc). Elevators make it easy to get to higher floors. Secure, swipe security at building front entrances AND elevators. Cons: Make sure if you are sharing with a friend you ring ahead and confirm you need two beds in your apartment or better still book a two bedroom apartment as the one bedroom apartments have a single queen bed (that cannot be split for twin share) so you will be offered a fold out single bed in the living area for your second guest. However, management moved my guest and I to another apartment when they realised their error. "Thank you". 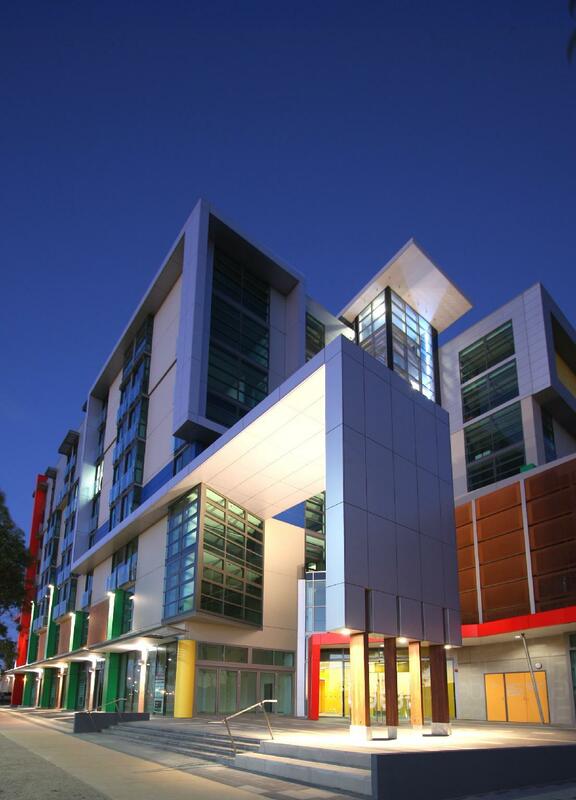 Friendly staff & nice location in Docklands within the free Tram zone, stop just outside. World definately stay here again, recommend it. Great harbour view from the room. Very clean and spacious hotel. Staff are very friendly. Awesome stay at the apartment. Well equipped rooms with the free tram right at the doorstep. It’s very close to port of MEL, and with clean room. Great place to stay and staff were lovely and very accommodating would recommend and will stay there again, very happy.